Hand Carved Skull with Eagle Meerschaum Pipe - One of the strangest skull pipes we have ever seen...you cannot get more original! 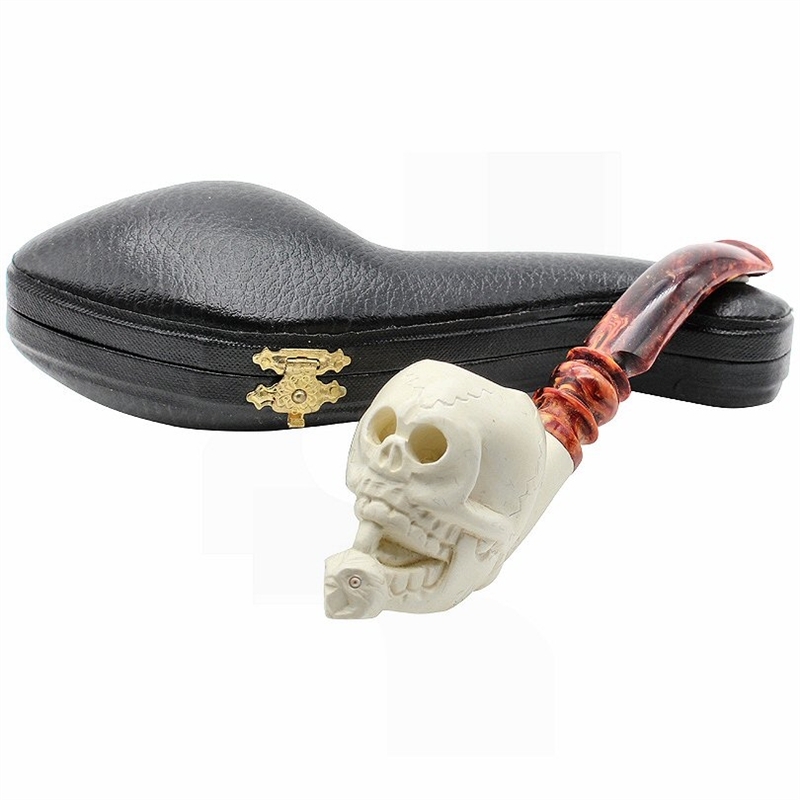 Is this skull smoking an eagle beak pipe? The pipe is finished with a richly colored scrolled designer stem. It is sure to be a great conversational piece too.